Studio Carry On Harry , Singapore recently invited Neurologist Patrick Delaney to share his journey as an author . Patrick Delaney, MD, is a neurologist and clinical professor of neurosciences at the University of California, San Diego. He is actively engaged in teaching medical students and physicians from around the world. His first novel, The Jaffa Resonance, was published in 2014. Author had some great things to share on the show episode of CarryOnHarry Talk Show , about his life and what makes him write his ideas into a book , develop his characters from people around him, how he mixes fantasies with realities of life. Here is some brief info about his new book Entangled Jasmine which became point of conversation . It was the same arrestingly beautiful woman he’d glimpsed in the crowd two nights ago. The smile hinted at mischief below the active, enchantingly dark eyes. He had once seen black star sapphires from Thailand, and the gems paled in comparison. His own reflection in the stainless steel surgical tray was that of a surgeon, fully gowned and masked. He stretched out a hand, passing it through the gowned assistant next to him until it made hard contact with the metal table. The hologram didn’t change expression. His eyes drifted to the head of the bed. The breathing tube from the ventilator wasn’t connected to the patient’s face. That shouldn’t be. In that same moment the patient’s hand swept smoothly across the surgical tray, snatching up a scalpel. 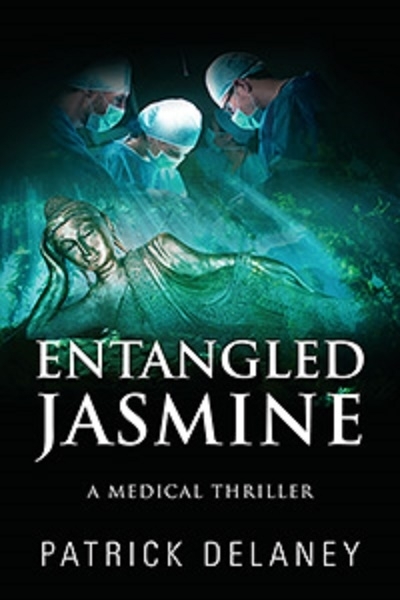 The hand arced sharply toward him… *** A futuristic virtual hospital in Kuala Lumpur. Created by the genius behind the U.S. command and control system for cyber warfare. And he’s missing.